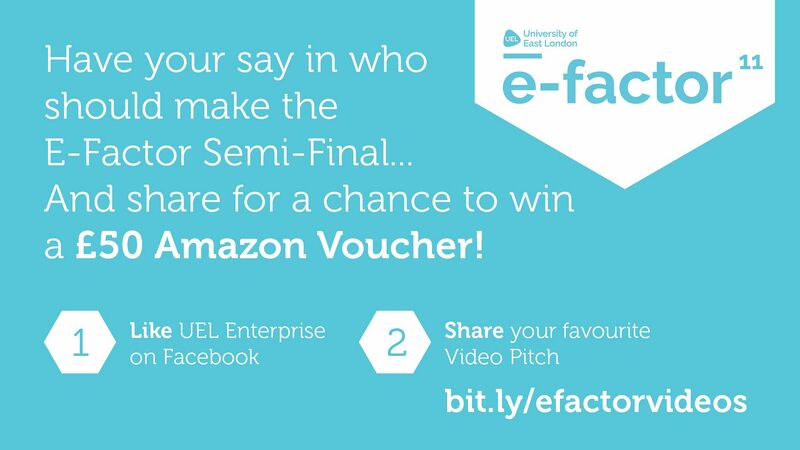 E-Factor is in full flow... but we need your help to decide who will make it through to the Semi-Final at Knowledge Dock in April! UEL Staff, Students and Alumni have a chance to win a £50 Amazon Voucher. 1. Like the UEL Enterprise Facebook page. 2. Share your favourite video pitch. You can view the videos here. This must be shared onto your timeline! Get liking and sharing! The competition ends this Sunday.